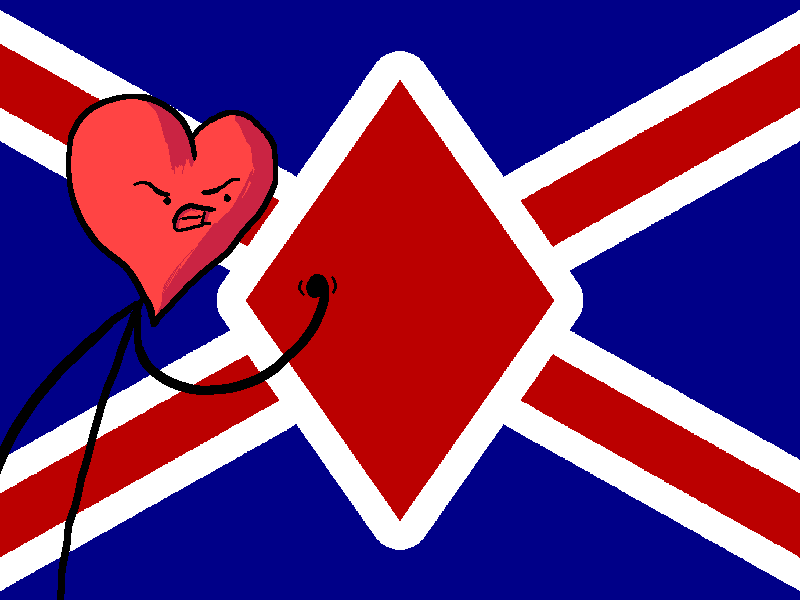 The Flag of Diamonds, however, looks very non-Canadian. These people, aligning themselves with the wrong suit, are fair game to fight all you like. Are the clubs an American flag?